Ashley here from The Glamorous Side Of Scrapping and I'm so happy to be sharing my project with you all today. I used a sentiment from Love Stings and a flag from Flag Dies 2. I also used the Oval Card Base from SVG Cutting Files and the My Honey Bee set from Designs On Cloud 9. More information can be found on my blog here. Thank you for visiting and don't forget about out monthly challenge going on right now. It's a fun Valentine's theme. For more details on how to play along, click here. This is so cute Ashley!! I love the colors!! 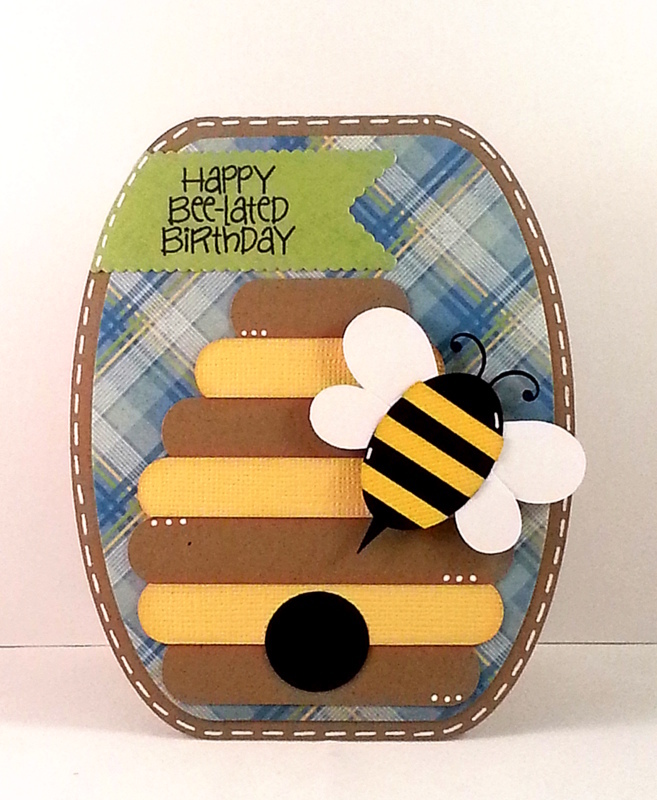 Happy Birthday Ashley:) Super cute-love the colors and adorable bumble bee!